Your vehicle’s check engine light is actually a good thing. It may not seem like it, but this early notification is giving you plenty of time to get to Carmedix in Durham, NC. The check engine light has probably triggered a lot of questions for you–Why? Where? and How Much? You already know where, but there’s no telling why your dashboard alert came on. Customers come to us because they don’t trust their eyes and ears to tell the whole story. And they shouldn’t! We discourage all owners from trying to self-diagnose their check engine lights. It requires a highly qualified technician using the most accurate engine diagnostic equipment to find the cause of your check engine light. The diagnosis is the most important step in the auto repair process. We take our time with our thorough diagnoses to prevent unnecessary repair costs. Our ASE Certified techs will never sacrifice accuracy for speed, or vice versa. 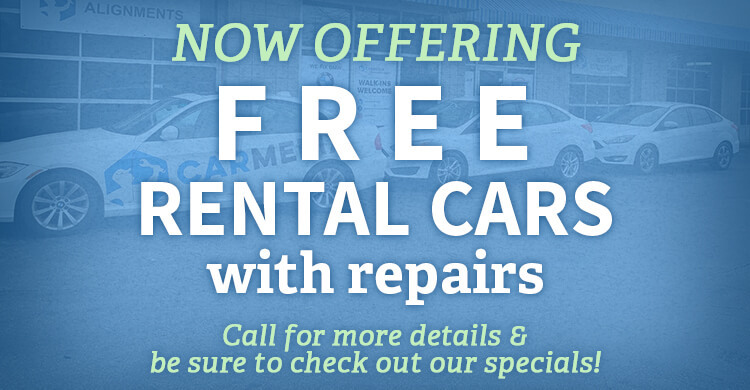 We’ll make sure you get both as we safely get you back on the road. Just because you don’t see any other warning signs with your check engine light does not mean you can delay services. There’s no telling what’s happening under the hood, and continuing to drive with a check engine light can do extensive and expensive damage. The initial dashboard light will be a solid red/orange light, but that light will eventually start to blink as engine components are compromised. The solid check engine light means “Come to Carmedix,” the blinking check engine light means “Come to Carmedix Now!” By the time the dashboard alert starts blinking, you’ve reached emergency status and your vehicle is about to break down. Before you end up on the side of the road, come directly to our facility. To avoid all this trouble, simply respond to your vehicle’s warning. 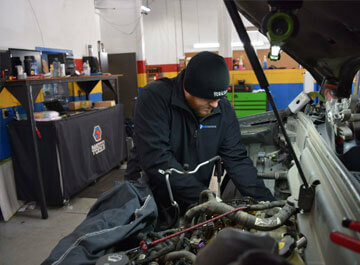 Our team is ready to provide a quick but thorough diagnostic service and complete repair solution. There’s no time like the present. Let us take care of your vehicle’s check engine light today! All you know is that there’s something wrong with your engine and it needs professional attention. Our team of qualified techs will answer all of your questions and perform the right repair solution to make that light disappear. We’ll keep you on the road to peak performance, repairing any vehicle system before it can compromise road travel. Give us a call today at 984-888-0791 to schedule your engine diagnostic service appointment. You can save time by using our convenient online scheduling system right now! Next time you’re in the area–2105 E NC Highway 54 #5–feel free to stop by get some answers. We gladly accept all of our walk-ins! We want to see you driving to our facility behind the wheel of your vehicle, not on the back of a tow truck. Either way, Carmedix should be your first and final stop.